So there I was talking with a friend about an upcoming bar-b-q at our American Legion post here in Glencoe when I was shocked to hear him say that he's "not eating beef these days." I was actually pretty surprised. I know eating beef has been blamed for all sorts of things these days, but people have been eating beef for a long time. It is said that the domestication of cattle started around 8000 BC for beef, milk and leather. Friends, eating beef is not just a passing fad for a reason. Cattle were widely used across the Old World for oxen, milk and meat production long before coming to America. And in America, well we've been raising cattle for hundreds of years. Yes, eating beef has been done for years all for good reason. Beef is one of the most nutrient-rich foods there is. Not only does it provide you with essential nutrients, but it has one of the highest concentrations of these nutrients compared to many other food source with the exception of maybe bison. Protein -- Helps build a strong and muscular body. Zinc -- Helps create a healthy immune system & heal wounds. Phosphorus -- Necessary for strong teeth and bones. B-Complex Vitamins, including Vitamin B-12, Niacin,Vitamin B-6, and Riboflavin -- Help release energy from food. According to USDA standards, there are 29 lean cuts of beef, Beef provides nutrients like zinc, iron, protein and B vitamins, and half of the fat found in beef is monounsaturated, the same heart-healthy fats found in olive oil. 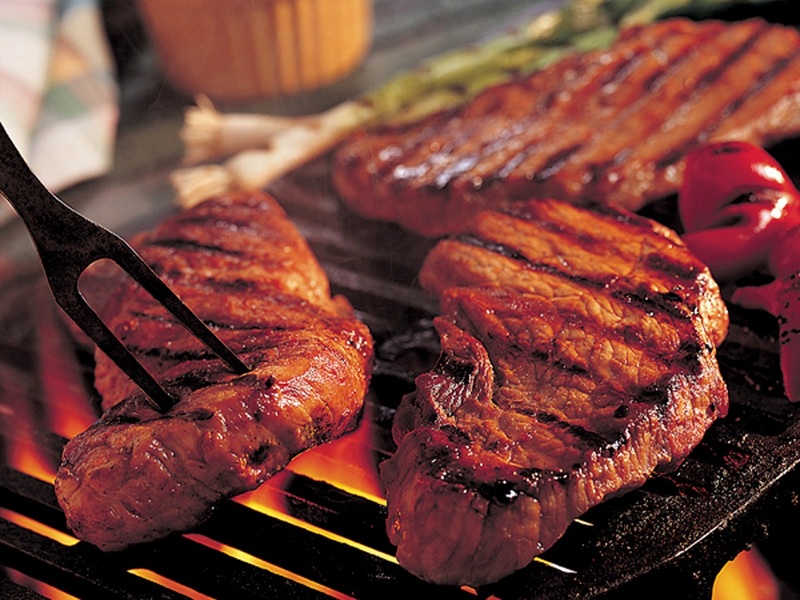 Lean beef is a very good source of protein, providing 64.1% of the daily value of the nutrient in just 4 ounces. As stated before, a 3-ounce serving of lean beef is an excellent source of protein, zinc, B-complex, B-12 and B-6, which are needed by the body to convert the potentially dangerous chemical homocysteine to benign molecules. 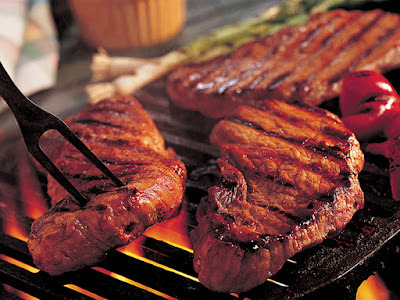 Protein helps in building a strong and muscular body, and beef is the best source of protein. Yes, the consumption of beef protein is associated with increased muscle mass and people who eat an omnivorous diet have more muscle than people eating a vegetarian diet. And yes, we benefit because beef is rich in phosphorous and iron. Iron helps carry oxygen in the blood to all cells and muscles and prevents fatigue. Phosphorous is necessary for strong teeth and bones. Diets high in vitamin B-6 are known to be help stop the shaking associated with Parkinson's Disease. Diets high in vitamin B-12, but low in fat, are associated with a reduced risk of colon cancer. Organic beef is a good source of Selenium and Zinc. The selenium present in lean beef is needed for the proper function of glutathione peroxidase, an antioxidant that reduces the severity of inflammatory conditions like asthma and rheumatoid arthritis. Lean beef is a good source of Zinc which is helpful for preventing the damage to blood vessel walls which can contribute to atherosclerosis and is also needed for the proper functioning of immune system. Zinc also helps create a healthy immune system and heal wounds. Grass-fed beef is higher in Omega-3 fatty acids, which have been found to reduce risk of heart disease. DHA and EPA are the active forms of Omega-3 in the human body and found primarily in meats. Also, research shows that it does not raise total blood cholesterol and LDL-cholesterol levels as well. Creatine forms an energy reserve in the muscles and brain and is found only in meat. Carnosine functions as a powerful anti-oxidant and provides protection against many degenerative processes. Carnosine is only found in meats. And frankly, despite what some pasty-face vegan will tell you, we are omnivores and function best eating both meat and veggies. Besides that fact, fact is that humans have much shorter digestive systems than herbivores. So subsequently, we don’t have the specialized organs to digest cellulose which is the main fiber in plants. We are designed by evolution to consume and make full use of the important nutrients found in meats of all types. We have canines. We have opposing thumbs and the ability to make tools to hunt. Yes, all for a reason. Finding and harvesting meat was one of the reasons we humans were able to evolve such large elaborate brains, clothe ourselves and advance. Some of the earliest evidence shows that our ancestors were eating meat as early as 1.5 million years ago. As for the risks of processed anything these days, red meat is perfectly healthy. In fact, research shows that there is no evidence that unprocessed meat contributes to cardiovascular disease or diabetes -- if, like anything else, it's consumed in moderation. As for concerns over cuts of beef which may contain saturated fat, which has a negative effect on our cardiovascular health. In reality all one has to do to reap the nutritional benefits of beef without the fat is to opt for the leaner cuts which includes round steak, shoulder steak, lean ground beef, and flank steak. As for folks out there concerned about the environment and want to rid America of cattle, especially those who use the flimsy excuse of saying that cattle are "environmentally unfriendly." That is a lie that should be stomped out. Facts are facts and cattle use less land than other food producers. Besides, cattle graze on various types of land including land that is too steep, hilly or rocky, and is considered unsuitable for farming. Like the bison of days gone by, today cattle also aerate the soil and eat brush and grasses which is good for wildfire management. And yes, cattle fertilize the land and replenish the ground with needed nutrients no different than the millions of bison once did in this country. And since we're talking about the benefits of beef, beef production is not only good for the planet and but it’s affordable for those less fortunate in that with less one can get more. Because beef is a more nutrient dense food source than vegetarian nutritional options, we get more out of a small amount of beef than compared to what we get from a similar amount of veggies. Friends, for us watching out checkbooks, the benefits of beef simply means that we can get more nutritional bang for our buck by buying beef for our nutritional needs. And frankly friends, that sure is a benefit for those of us who need to stretch our dollars. Lastly, beef is good for one's soul! It taste great. It is a great meal. It isn't a sandwich or a taco, nothing picked up at a drive through and in a hurry. Beef is prepared and stick a baked potato and corn on the cob with it and you have a meal that makes you feel good about life in general.